Philip Radice, actor, director, teacher, and director of theater arts, has more than 40 years of experience in his artistic field. During his university years (1974-78), he began studying theater, and in that period he met Claude Caux, formerly an instructor for the school, Ecole de Internationale de Mime de Marcel Marceau (Paris) with whom he studied pantomime. After graduating, he pursue studies in movement/mime theater in Denver, but wishing to expand his knowledge of Movement Theater, he moved to California to study with the Italian Carlo Mazzoni-Clementi at the DELL’ARTE International School of Theater (Blue Lake, CA. ), and subsequently, the master Leonard Pitt in San Francisco. He decided to apply to the school the Ecole Internationale de Thèâtre – Jacques Lecoq in Paris, and in January of 1980, moved to Paris to study with Jacques Lecoq. 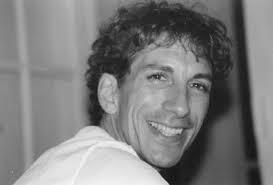 Graduating two years later in 1982, Philip Radice formed a theater troup with a fellow student, Rupert Raison, and performed in various venues through-out Europe. In 1984, he moved to Torino, Italy, and for three years worked and collaborated with a fellow Italian colleague, Franco Cardellino, in his theater company and school, Punto Fisso where he taught until 1986. He then left to create his own acting company with Rupert Raison, DIZZIACS THEATRE COMPANY, based in Torino, and until 1990, performed in Italy and Europe. A short time after leaving the company, he co-founded, TEATRO DEL FRIZZO, with Mauro Piombo and Sandra Cavallini. Upon perceiving the rapidly growing concept of physical theater (especially in Great Britain), he introduced the notion to Italy in 1990. Through articles, workshops and conferences, articulating and elaborating theoretically on the concept, he subsequently decided to create in 1995, the Cultural Association ATELIER TEATRO FISICO which became identified for its innovative teaching methods and productions – an alternative to the traditional institutions in Italy. The A.T.F. adopted the pedagogical approach of Jacques Lecoq, but it soon began to reflect the eclectic nature of the founders own theatrical formation and principles defined as physical theatre. In 2003, he founded the PERFORMING ARTS UNIVERSITY – TORINO. The first educational program in Italy that developed a full-time study based on the American University which is designed as an integrated approach to the performing arts (theater, dance, music, circus arts, etc.). Since 2007 he has promoted the theater festival “Potpourri”, specifically designed to give newly created material a venue and this year, it will celebrate its tenth season. Philip has taught, directed or performed in France, Great Britain, Denmark, Norway, Switzerland, Spain, etc. developing his own skills in teaching by working at the Accademia de Arte Dramatico de Valladolid, the Escuela Teatro Elfo (Madrid), Mountview Theatre School (London), the Statens Teaterogskole (Oslo). He has worked with renown artists like Pierre Byland, Jango Edwards, Johnny Melville, Peter Ecolano, Petru Vutcarau, Antonio Fava, and Arturo Brachetti. In 2000, he published his first book, IMPROVVISIAMO CON SPONTANEITA’- La Scoperta del palcoscenico (Elledici), a manuel for teachers and activities directors on teaching physical theater, mime, and improvisation. Philip has directed and co-wrote numerous shows. Among those most recognized are: “FUNKYPUDDING”, with Luigi Ciotta and Aurelià Dedieu winner of the 2009 FNAS competition, “AMBRETO MALEFICA” Casata Maluf 2009, “LES SOMMELIERS” del Freakclowns 2010. From 2004-2012, he collaborated with Milo Scotton and Olivia Ferraris as director and co-writing in three shows, KLINKE, KOLOK, QUISQUILIA which have become international successes winning more than 10 awards for the directing, staging and artistic innovation. In 2010 and 2011 he helped organize and participate as an instructor, at the COMEDY SHAKE in Berlin with Karl Koeckenberger, an international comedian and clown TRAINING CONFERENCE and festival for 60 young people who aspire to be professional comic performers and come from 12 different countries (Europe, North Africa, and Middle East.). In 2015, California State University chose the ATELIER TEATRO FISICO to host their summer arts program for the first study abroad in theatre: three weeks of intensive training with Philip and highly qualified instructors’ teaching in the visual comedic arts of clown, pantomime, and Commedia dell’Arte. With more than 35 years of teaching experience, Philip instructed more than 3000 people throughout Europe and the United States in the theater arts. He has been and continues to be active in consulting with numerous young up-and-coming professionals or theater companies in the capacity of artistic consultant or director/co-writer. One can see his ex-students working either on stage or in television, and achieving notable prominence for their work through critical acclaim, awards or contest.